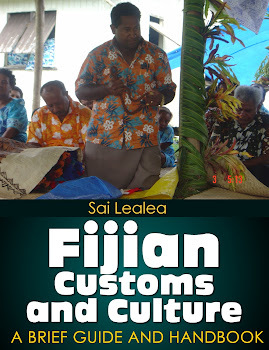 Fijian Culture & Custom: Will Fiji's land reform force an NLTB re-invention? 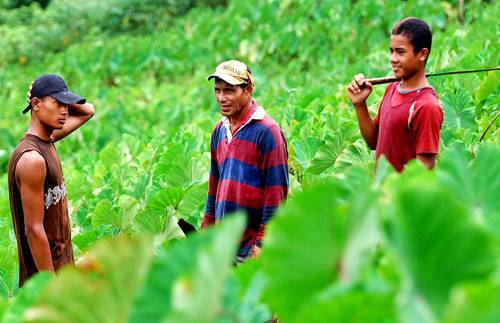 Will Fiji's land reform force an NLTB re-invention? The Native Land Trust Board (NLTB) may be forced to re-invent itself if it wants to remain relevant to the needs of i-taukei landowners in these modern times. This opinion has been expressed following the end of NLTB’s monopoly over the administration of native land with the coming into force now of the new Land Use Decree 2010. The new decree establishes a new Land Use Unit within the Ministry of Lands and Mineral Resources that will run the Land Use Bank, a registry in which landowners—whether government or i-taukei—can voluntarily “bank” their land for government to administer. 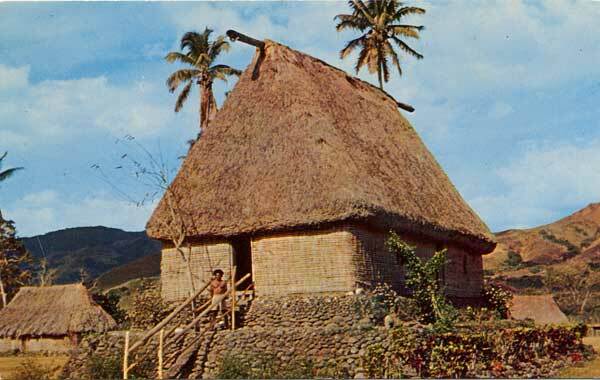 Not only has this ended the sole rein over native land held by NLTB since the 1940s, it has also given native Fijian landowners an alternative to the administration of their land, and what is in principle promising to a be more attractive land rental deal and general leasing conditions than that offered by NLTB. “In my view, this decree has come at a timely point in terms of the way land is commercially used,” said Tevita Bukarau, a former NLTB manager legal, and now principal solicitor in MUSKITS & Company. Bukarau’s legal firm is currently representing a group of landowners in Nawailevu village in Bua. On their land sits a number of potential bauxite mine sites ready to be mined by China’s largest independent alumina refinery, Chiping Xinfa Huayu Alumina Co. Ltd. The landowners’ attempt to secure a joint venture partnership with the company could not be facilitated by the NLTB, and they have decided to explore the options presented by the Land Use Decree 2010. “The NLTB has, for a long time, monopolised the use of land,” Bukarau told FIJI BUSINESS. “And if you are a landowner and you liked the way NLTB thinks or not, it doesn’t matter because you can’t go to anybody else to have your land legally used for a certain development. So, there is no alternative. “In that sense, this legislation [Land Use Decree 2010] has come as a breath of fresh air for those who have been frustrated by NLTB for quite some time. And it gives them an option; if for instance I have a piece of land and I wish to develop it in a certain way and I, because I have been schooled to a certain extent and I know one or two things about development, and I know I can clinch a better deal than NLTB, then this legislation has come as a breath of fresh air. Because even if the NLTB does not see the same view as you do in relation to your development, then maybe government will through this legislation,” Bukarau said. The new land decree has been the result of a swiftly delivered land reform programme by government, and although the perceived lack of exhaustive and thorough consultation to formulate it has been criticised in some quarters—especially in relation to native land—it has been seen as a necessary step towards optimising the country’s economic performance. In an interview with FIJI BUSINESS on the reform, Permanent Secretary at the Ministry for Lands and Mineral Resources, Lt. Col. Neumi Leweni said the exercise “must take place” if Fiji wanted to achieve economic success. “Importantly, land is not only a scarce resource, it is also a very sensitive issue. Our recent socio-political history reveals that land, like race, has been used by politicians with their different ideologies and philosophies, as a catalyst to spread unnecessary fear among our people. The consequences are now well known. Government’s land reform initiative is meant to address all these critical issues and more. Part 2 requires that all land designated under the decree be free from all encumbrances and that all land designated for utilisation shall be referred to the Prime Minister. “The Prime Minister shall then use his discretion to designate land for utilisation under this Decree.” By the time this magazine edition went to press, some 20 land parcels – ranging from 80 acres to 6000 acres – were awaiting designation by the Prime Minister, while over 100 investors, some from overseas, have registered their interest, according to Land Use Unit director Laisa Raratabu. idle and unproductive land as humanly possible. This should provide the platform for the nation to progress economically and socially,” Leweni said. Leweni maintained that this is not a deliberate design to put NLTB out of context as an organisation, although some are curious as to how NLTB would figure in the new scheme of things, being an entity created purely to administer native land. “The role performed by NLTB should not be taken lightly,” he said. “For the past decades, the NLTB has been the custodian of native land and has managed native land in a way that is very different from land management practices in other countries. “You will recall that NLTB and its enabling legislations have been hailed by many in the Pacific to be among the best in managing land on behalf of landowners. “Government has no intention of changing this. If anything, the options that government is now pursuing through the land reform initiative will only serve to complement the work of NLTB and help the nation grow economically from the best use of our scarce land resources. “The initiative will help the NLTB to re-look at how it is assisting the native landowners to progress socially and economically in real terms, aside from overseeing and managing native land,” said Leweni. While indeed any land that may be deposited into the Land Use Bank must be unencumbered and “shall not be the subject of any dispute in any court, tribunal, commission or before any other person or body exercising a judicial function”––and this rules out all native lands currently under NLTB leasing arrangements––landowners are free to consider depositing their land into the Land Use Bank, once the NLTB leases on their land expire. Given this scenario, the Land Use Bank essentially competes against NLTB for the attention of landowners. Landowners who take their land to the Land Use Bank are promised higher rental – 10 percent of Unimproved Capital Value (UCV) compared to six percent charged to tenants by NLTB; a timely payment of rent; plus the icing on the cake: full rentals to be paid to them, a much better deal compared to NLTB’s distribution formula. For the tenants, there is a promise of more secure tenancy––all leases under the Land Use Bank are issued for 99 years, even agricultural leases, the subject of hot political debates in the past due, in part, to the shorter lease terms offered under NLTB legislations. Bukarau believes this “competition” is healthy and would not necessarily force NLTB into irrelevance. “One of the better things about the new legislation is that the pro-ceeds that come out of the development on the land have only two recipients ––the government and the landowner. 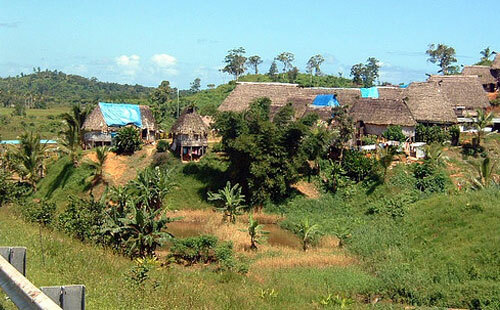 Only they decide how the proceeds are to be distributed, whereas on the NLTB side, once you get the lease money from investors, that particular package of money gets subjected to statutory deductions – 15 percent goes to NLTB, and then different level of chiefs get their own percentages and by the time it gets to the mataqali, about 50 percent is what they get to share. And that can be quite taxing for the landowners’ coffers. "At the end of the day, he ends up watching a commercial activity on his piece of land, and he’s growing up watching that, but what he gets out of that, as a landowner, is usually very little,” Bukarau said. “So in a sense, the decree cures straight away some of the ills which exists on the NLTB side. NLTB is an old horse, it’s been here since the 1940s, and I think it still has a place in the governance of this country. But because of this new legislation and the positives it offers for the landowner who wants to be creative about the use of his land, and wants to gain more––which he is entitled to––that will put pressure on NLTB to become very creative. “They will have to size up their legislation, to see whether it’s relevant to the times that we are in. If not, then they may need to suggest some amendments to allow them to be more liberal in the way that they can offer incentives to landowners on how their land can be utilised for better returns,” Bukarau added. He made these observations in light of the bauxite mine case he is handling. What he could not understand, he said, is why NLTB could not facilitate a joint venture partnership that the landowners wanted when clearly such a partnership would benefit them. Under the new decree, a partnership like a joint venture may be facilitated, first, by depositing the land in the land bank and then land-owners themselves apply to lease the same land, explained an associate of Bukarau. The landowners then use this lease to negotiate their partnership with the developer. Such creativity is allowed in the new legislation and which NLTB may have to compete with if it wants to keep itself attractive. “I think there is room within the Native Land Trust Act for them to be creative,” said Bukarau. “It depends on them, as individuals who are part of the institution. If they want to be creative, they can. If they choose to be on a traditional mode of operation and not maximse the benefits for the landowners, then their relevance will be outrun by this new legislative regime created by the Land Use Decree. “The good thing is that there is now an alternative; firstly, there is no monopoly now by NLTB; secondly, there are two regimes in place, which means the landowner now has a choice. Either he takes his development and puts it into the land bank or he goes to the NLTB and uses their system. So straight away from an aerial view of the two households, the Land Use Decree has an edge. "But if NLTB can be creative within its own legislative framework, then maybe we will have healthy competition between these two entities. And there is enough land and space for these two to compete healthily because only the landowner will benefit,” Bukarau added. of the Land Use Unit Laisa Raratabu, were still being drafted and should be out by the end of the month. They would explain, for example, how the land would be valued, how the lease will be issued or renewed and how the rental would be collected, among a host of other things. Concerns have also been raised on the control that this Decree now has over native land. “The control and the decision on how to use that land rests with the state and not in the owner of the land or tribe,” resource owner representative Ratu Osea Gavidi told Radio New Zealand. He fears this may pave the way for the alienation of land in the future. As well, this decree and all processes taking place within it may not be challenged in a court of law – and any attempt to do so, to be immediately terminated––has also raised some questions on how grievances relating to it would be addressed.